The 75th edition of the Whitney Biennial is a peculiar show. 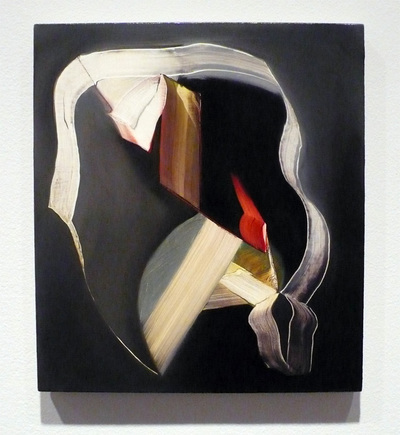 It does not seem to represent a comprehensive survey of American art produced in the last two years, but rather a group show of artists reflecting on recession, war and nostalgia. Most of the works from the fifty-five artists seem personal, except for a few that use shock treatments to criticize the ethics of modern warfare or cultural attitudes. However, there are a few pieces that I find interesting, like Lesley Vance’s beautiful oil paintings, which resemble a long exposure photograph of a not-so-still nature. 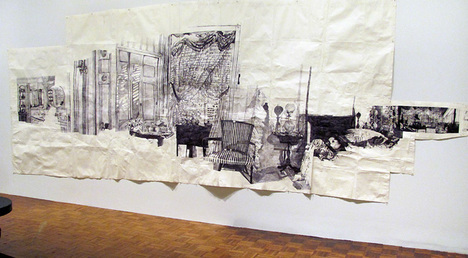 Dawn Clement’s Mrs. Jessica Drummond’s (“My Reputation,” 1945), a floor-to-ceiling drawing of a 1940s movie scene, is an impressive piece that pulls you into a spatial narrative. 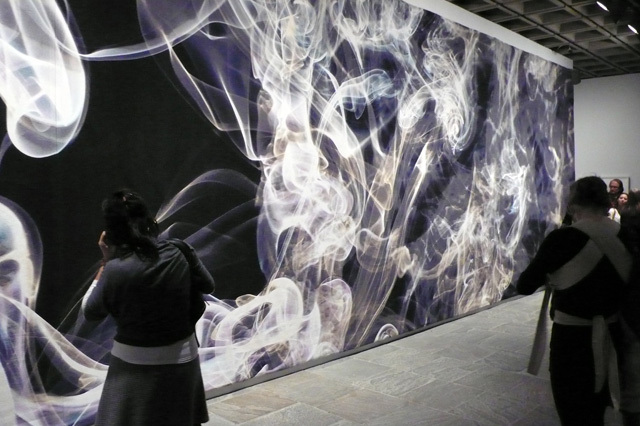 Pae White’s Still, Untitled is a massive 3 x 6 meter smoke image that looks like a stunning photograph but is in fact a tapestry. 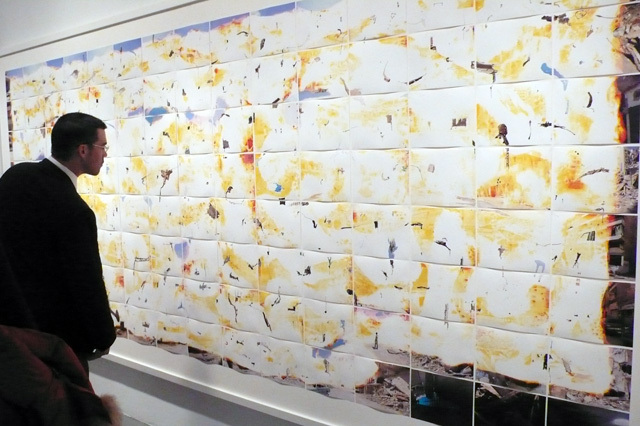 In After the Dust, Second View (Beirut), Curtis Mann creates an puzzling quilt of an erased Beirut using altered images of the recent 2006 conflict aftermath.